Bethune-Cookman’s 2018 football schedule is big on classics. DAYTONA BEACH, Fla. – In a joint effort between Lynn W. Thompson (Vice President for Intercollegiate Athletics) and Terry Sims (Head Football Coach), Bethune-Cookman University announced its 2018 football schedule on Thursday afternoon. In all, Bethune-Cookman will play four home games at Municipal Stadium, as well as taking part in three “classic” contests on the road. 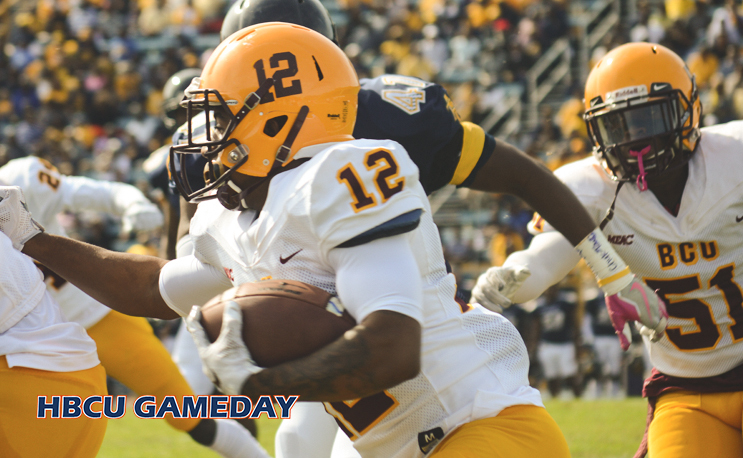 A familiar foe returns to the 2018 schedule as Bethune-Cookman opens the slate Labor Day weekend at Tennessee State for the Tigers’ annual John Merritt Classic taking place inside Nissan Stadium. The two teams last met in the John Merritt Classic back in 2013, when the visitors from Daytona Beach were victorious, 12-9. BCU opens its home schedule taking on Lynchburg (Va.) College on September 8 at Municipal Stadium. The game will also serve as Hall of Fame weekend, as BCU will be set to induct a new class into its Athletics Hall of Fame. Season tickets will go on sale at the BCU Box Office and all Ticket Master locations beginning March 26. It’s The Virginia University of Lynchburg. Lynchburg College is a PWI that doesn’t have a football Program.